Before his move to Arles, Van Gogh had never been to the South. The warm and bright southern light and its effect on colour was one of the lures that made him leave Paris in February 1888. Van Gogh was not alone in his search for light that had stronger qualities than the cool light of the North. Claude Monet had worked in Bordighera on the Italian Riviera in 1884, and would settle in Antibes for a while in 1888. Paul Cézanne lived and worked in his hometown of Aix-en-Provence. Adolphe Monticelli, who was greatly admired by Van Gogh, had lived in Marseille, while Paul Gauguin travelled to Martinique in 1887 to work in the light of the Tropics. Van Gogh would probably also have heard about the qualities of the light in the South of France from Paul Signac, who painted there, and from Henri de Toulouse-Lautrec, who was from Albi. He had expected that the southern light and colour would resemble the atmosphere of his Japanese prints, and was extremely pleased when this proved to be true. To Emile Bernard he declared: “This part of the world seems to me as beautiful as Japan for the clearness of the atmosphere and the gay colour effects.”* Many of his letters from Arles pay tribute to the marvellous light and a newly discovered world of colour. Van Gogh’s work from Arles is often associated with the colour yellow, which plays a prominent role in his works from that period. 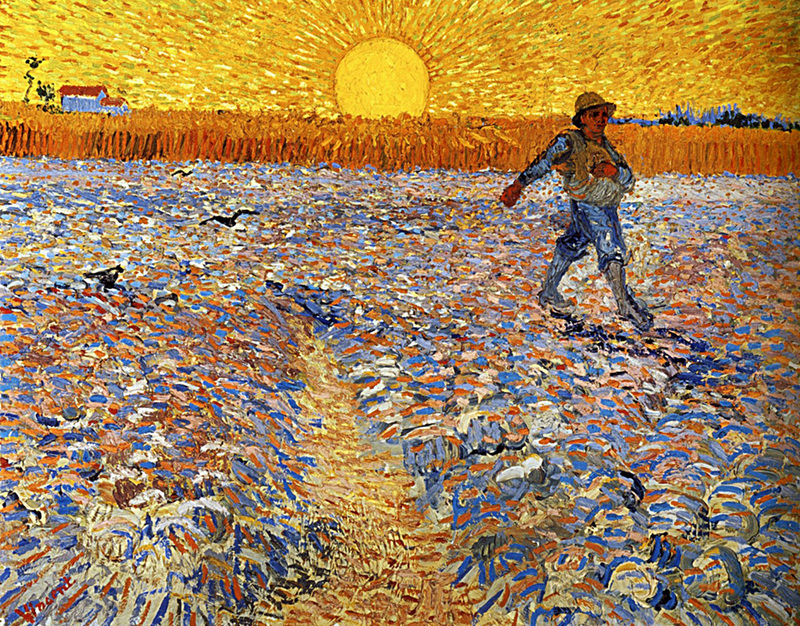 Van Gogh worshipped the Provençal yellow sun and its sulphur or gold coloured light. It flooded the landscape and enabled him to give his paintings the strong, unbroken colours that he had yearned for. 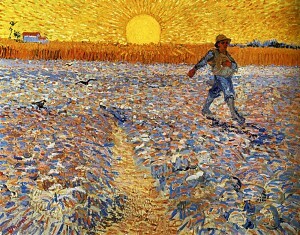 The modern artist of the future, in Van Gogh’s view, would be a colorist as the world has never seen. The southern light was of prime importance for a modern palette, and he more than ever distanced himself from the grey palette of his Dutch years under a northern light.